These large high quality 3" Custom World Class Medals are perhaps our highest quality medallion and are perfect for prestigious recognition. Made from a durable zinc alloy, this medal has a truly Olympian feel with your choice of antique gold, silver or bronze finishes. 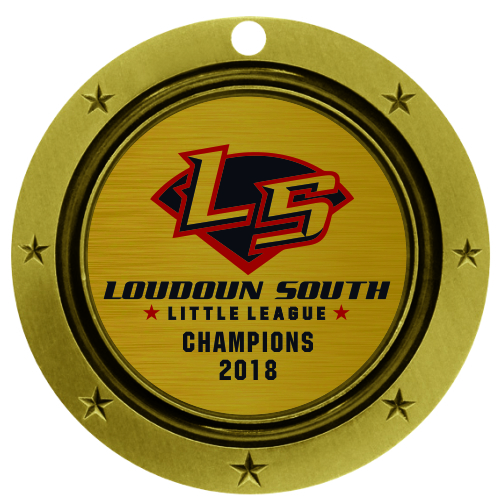 We add your custom artwork to the front of the medal with a poly-domed emblem and we can even personalize the back of the medal if you want too. The back has a smooth, recessed area. This is where we can add an optional 2" personalized emblem with your artwork and text. 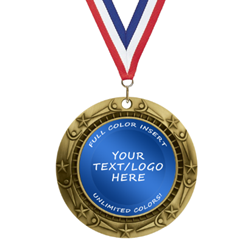 Email your text along with your order number for the back of the medal after placing order. 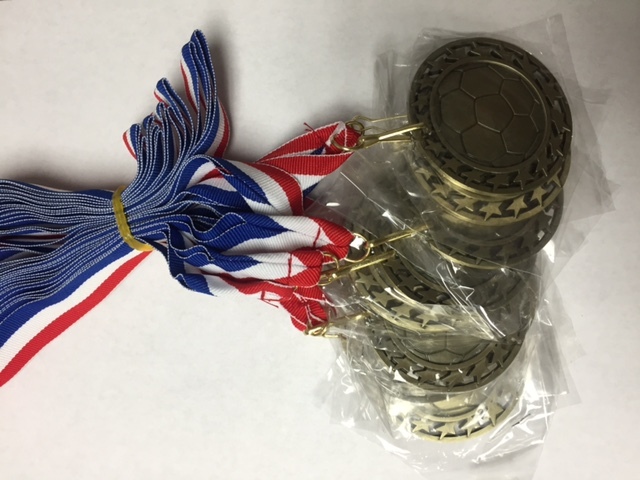 Medals come either attached or unattached to a 32" neck ribbon in your choice of color and width (some options only available in 7/8" width). Neck ribbons come with a "snap clip" for easy attachment. Minimum order of 25 pieces required. We will provide a free proof for approval. Email in artwork and text for the back along with your order number (if applicable). Discount pricing is available for combined order of gold, silver, and bronze medals.